Not all faces are the same, and not all facial recognition systems are the same, either. For example, most of the facial recognition systems found on Android handsets are not secure enough to be used to verify a mobile payment transaction. These are useful to those who want to unlock their phones with a glance. One Android handset that has a more secure facial recognition system is the Huawei Mate 20 Pro. According to the Huawei customer community via (XDA), the other day an update added a new feature for the 3D-depth sensing system on the Mate 20 Pro. This will allow a second user to unlock a Mate 20 Pro unit and head right for their own user profile. This comes in handy if someone shares their phone with a relative, friend or spouse. 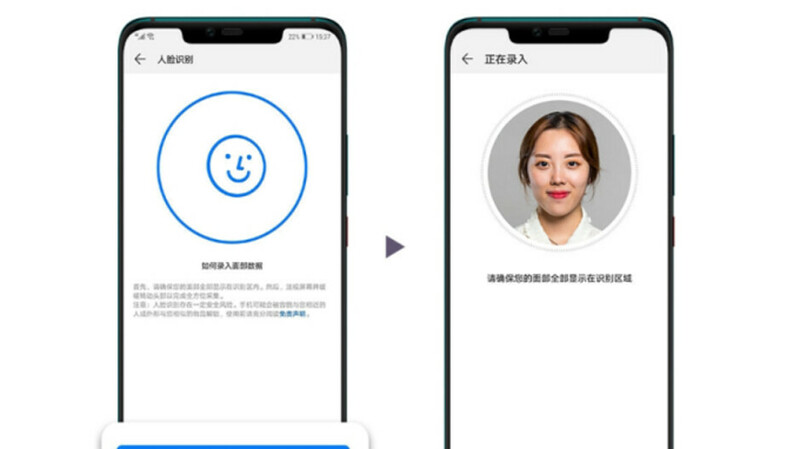 Both faces can be used to unlock the phone or an app, and authenticate mobile payments using WeChat or AliPay. The update is rolling out now to those with the Mate 20 Pro and the Mate 20 RS Porsche Edition. Once the update arrives, those with either model can go to Security and Privacy > Face Unlocking. This will lead to an option that reads "New Spare Face." When that button is tapped, click on "Start Entry" and "Enter the second face" to make the phone "two-faced." Previous updates were sent out in December and January in a bid to make the facial recognition system even more secure. The new feature is being added to models in China, with the International units expected to receive the update shortly. Apple iPhone users with a model that supports Face ID have been able to add a second face to their facial recognition system since the release of iOS 12.